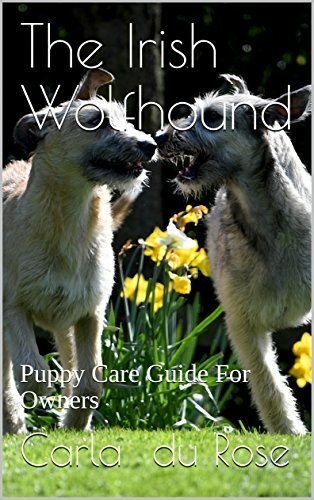 This guide is for Irish Wolfhound Puppy Owners, or for those of you thinking of owning one. They are like no other breed and require careful raising in their formative years. Once smitten by these beautiful hunting hounds you will never look back. With every puppy who leaves the kennel, the new owners are given a puppy care pack. This pack contains all the documents relevant to puppy, many many photos, and reams of paperwork about care, and explaining how best to raise them. My guide now formalises the care pack and offers much more. This guide will also be useful to anyone who is thinking of having an Irish Wolfhound in their life; they aren't the easiest breed for the first year, but then most giant breeds are notoriously tricky to raise. Now available on Amazon kindle and in paperback and also on ibooks.